An upcoming food technology conference in Auckland on alternative proteins for food production will debate whether it’s a market challenge or a massive new opportunity for local producers. Science leaders here say the changing global consumer trends bring a huge commercial opportunity for New Zealand agriculture. “New Zealand has strength in protein isolation and manufacturing technologies developed through our dairy industry. 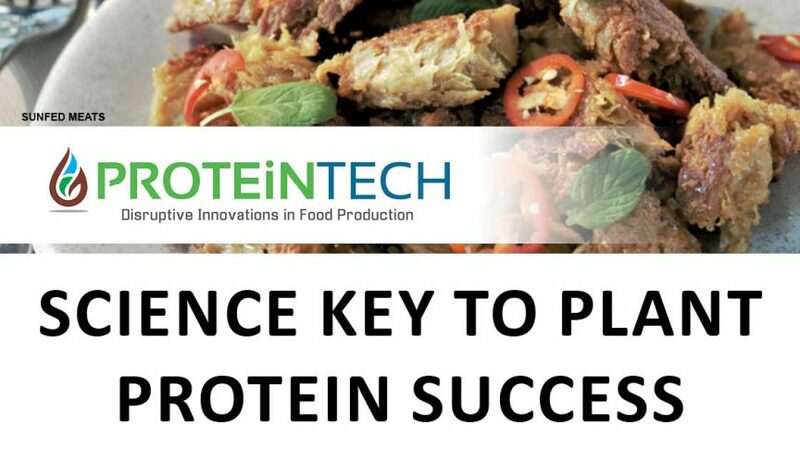 These technologies provide a solid base for further process developments of plant proteins,” says Jocelyn Eason, General Manager Science, Food Innovation at Plant & Food Research*. Eason is one of the key science speakers at the Innovatek ProteinTECH coming to Auckland on 24 July. Combined industry and research expertise can develop premium food offerings. To date the mainstream media focus has been limited to popular food products, like Sunfed Food’s chicken-less chicken and ‘Impossible’ plant-based burgers, where the focus is providing a meat-like meal with plant-based products. The reality is there is much more to the global market for food based on plant proteins. The back story, says ProteinTECH director John Stulen, is there are some very experienced teams with research and science experience, developing commercial processes. They are set to capitalise on the new found popularity and growing market acceptance for sustainable plant-based foods and food ingredients. To register go to: https://proteintech.events/. Its on 24 July at the Novotel Auckland Airport Hotel.